What Our Certified Business Coaches Have to Say. We asked our member business coaches what they thought about the Professional Business Coaches Alliance (PBCA) and we got the following feedback on our certification program, business coach trainers, annual conferences and the overall alliance. Want to hear more? If you are interested in learning more about the PBCA we can connect you with some of our Business Coaches and let you talk with them directly! "The PBCA certification training was a critical step in getting my coaching practice started… What I appreciated the most about the training was it's practical nature. By the end of the week you will know how to coach because you will have done it… Multiple times. Whether it's how to coach, how to set up your business, or how to sell coaching, you won't find a better value for your investment." "Having been in business for over 20 years, as a franchise or and franchisee, I found PBCA to be absolutely refreshing in their their approach. I know with complete certainty that PBCA is looking to come alongside me and give me the tools to build my coaching practice. I left 55 hours of training completely refreshed, equipped, and ready to make a difference. Thank you PBCA for giving me a fresh vision for the next decade and beyond!" "I have attended too many seminars, workshops, symposiums, etc. over my career – and have forgotten just about everyone. The PBCA training that I attended in November 2012 will never be forgotten. It was far and away the best 5 1/2 day training session that I have ever attended." "The entire PBCA team is truly there for you when you need them most of all. I cannot imagine entering the business coaching profession without access to the training, group support and coaching tools provided by the PBCA. In addition, the ongoing development in terms of services and available resources as continue to expand exponentially over the past year. What a powerful team to be a part of, all the while advancing our respective careers." "Jon is a leader among leaders. His vision of developing the PBCA into North America's premier business coaches alliance is happening right now. He has developed an outstanding, world-class training program that drives experienced business professionals to create their own coaching business. Jon has seen it and done it all and is transparent and sharing his successes and learning opportunities. I follow Jon's teachings and lessons are very closely because they just work! If you are serious about becoming a business coach or a more successful business owner, then you owe it to yourself to contact Jon Denney." "Jon changed my life! 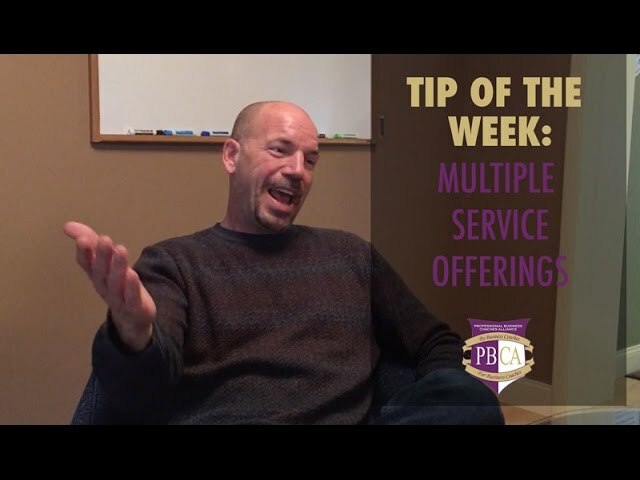 The PBCA is an amazing organization with all the tools you will ever need to run a successful certified professional business coaching practice. He is the coaches coach who will prepare you to be the best coach you can be! 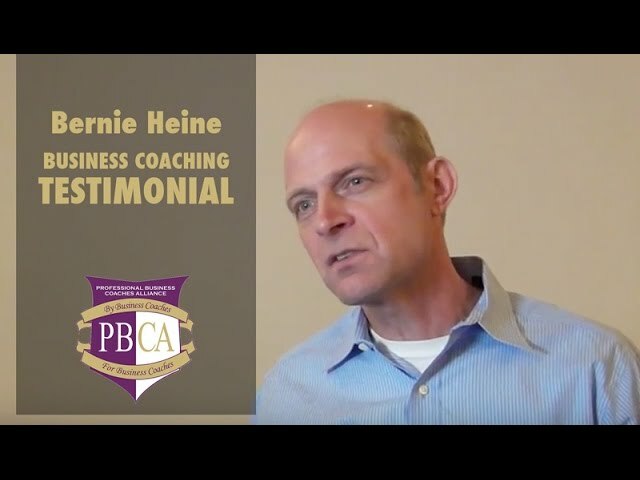 The best way to describe John/PBCA as a coach and a coaches coach: "
"I was attracted to the PBCA because it presented a business model that simply made sense to me. The alliance created a flexible framework within which I could "color outside the lines” and put my personal stamp on my company. All the while I have enjoyed tremendous support through the PBCA forum and weekly coaching calls with the other member/coaches. The form and library provided great exchange of ideas and tools. The member coaches come from a variety of backgrounds/industries and their experience and expertise is truly impressive." "I have only been acquainted with Jon for a few months. Having said that, his infectious personality, positive attitude, and strong interest in helping others have made us good friends and colleagues very quickly. Jon's knowledge of business, coaching, marketing, etc. is impressive." 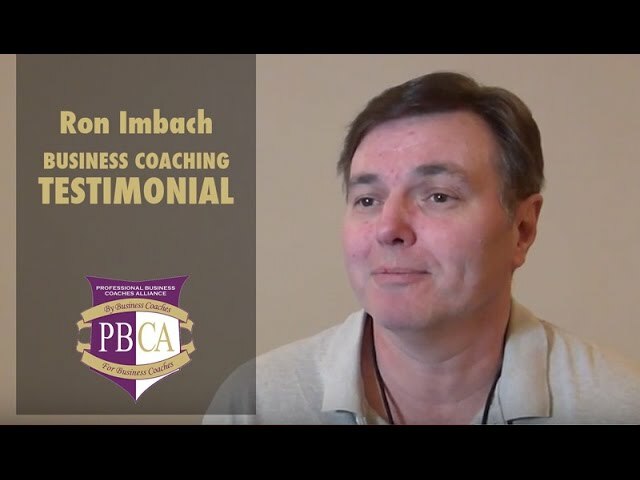 "I highly recommend the PBCA for those considering entering the business coach profession as well as for experienced coaches looking to be part of a strong network of coaches." "Thank you for the very authentic and valuable training at the PBCA last week. The integrity of the PBCA was apparent and refreshing! I truly believe the experience will transform my business, hence, my life. My sincerest appreciation to you." 1. I found no franchise with enough name recognition in the marketplace to justify buying it for the "brand". 2. The PBC a provided training and back office tools equal to or greater than any system or certification I investigated. Though those two reasons remain valid they are not why I am still a PBCA member all these years later. I came for the training and tools, but I stay because of the great support I received from my fellow PBCA coaches whose free exchange of ideas and positive attitude drive each other to succeed. I've been a part of many great associations, but none where the members are as talented and creative and giving of their time and expertise." "Jon is a man with a huge heart for helping other people. He lives an exemplary life of helping others. He is a very experienced business coach and an equally good trainer of coaches. I found his coaching to be practical, helpful, focused and geared to the needs of his students. I feel privileged to be a part of the same organization as Jon." "After making the decision to become a coach, I hired someone to individually train me. My coach kept referring to someone that was a very successful business coach. I looked that person up on the Internet and found out that he was trained by an organization called the PBCA. I knew nothing about the PBCA but I called the telephone number listed on their webpage. Jon Denney answer the phone and one week later I was sitting in class. That week I experience the absolute best training of my life. The class I was in was told at the beginning of the week that the following Monday we would be able to go out and hit the ground running. I couldn't believe it but it turned out to be true. (The person that I had originally hired to coach me told me that I would be ready to start coaching and maybe six months.) The knowledge and training I received that week was amazing! I would certainly recommend PBCA to anyone who wants to become a business coach. There is no organization out there, in my opinion, that can compare to the PBCA." "Like me, many of our members have been in charge of businesses and larger organizations. A lot of activity, a lot of people. When you strike out on your own, we can feel isolated and lonely at times. When I found an alliance of fellow men and women professionals like myself, that feeling was replaced with energy and lasting relationships. We don't compete with each other like franchise coaches – we collaborate, share and encourage each other to achieve greatness. We are positioning ourselves to be the world's best in class independent business coaching community globally – a really exciting time to be part of something bigger than yourself." 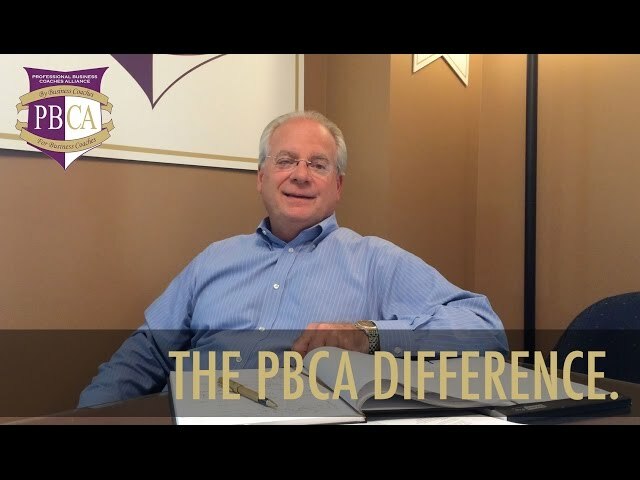 "Jon and the PBCA over deliver and under promise! Jon's professionalism, experience and business integrity set the foundation for a rocket boosted lift off into the dynamic world of coaching. 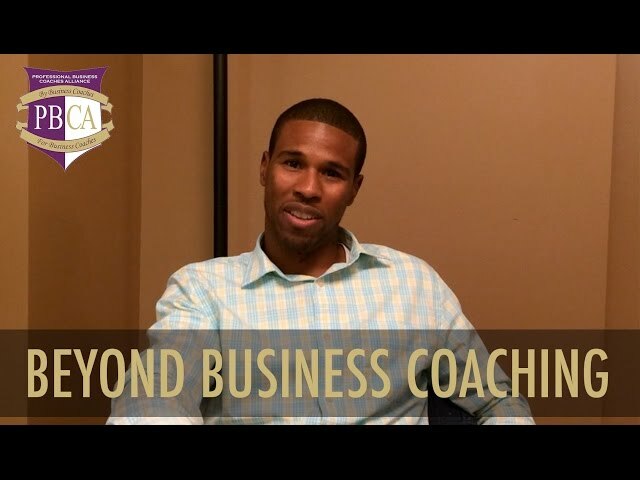 The PBCA is the way to go to be a professional business coach!" "When I was looking for this opportunity, I was glad to find that the PBCA had some of the most serious prerequisites for membership of any coaching organization in the country. Every perspective coach is well-qualified to assist small business owners even before they are admitted and trained as a professional business coaches. However, no matter what your background, either as an experience small business owner, a leader in the corporate world or a decreed professional, the expert training for small business owners by small business owners will take you to the next level. You will be prepared not only to coach effectively but you will also learn how to build a successful coaching business." "I've never had the privilege of being associated with such a gifted group of people who are so willing to invest in each other while promoting the highest level of business coaching professionalism and integrity. For anyone considering a business coaching career, the PBCA is the place to be." 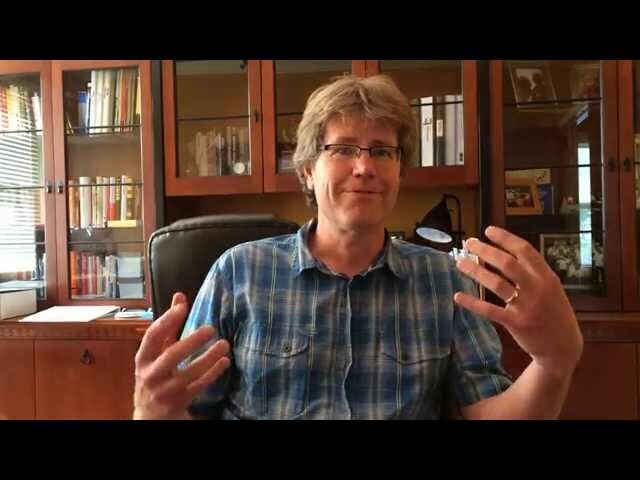 "The business coaching certification course exceeded my expectations overall! I can say that the course content, pace of the learning sessions along with frequent reinforcement of the key messages was perfect. Learning was also reinforced through numerous role-playing opportunities during the week. Jon was open and honest with his feedback on my progress during the week and he highlighted different approaches that PBCA coaches have successfully utilized, not just his own approach. The week was very enjoyable overall, with a balance of intensive course work, group lunches, a great wrap up group dinner on the final night, and a wonderful hotel which allowed us to experience the charming historical downtown area of Syracuse. But above all I feel that when we left on the final day not only did we achieve our objectives to receive our business coaching certification but we also developed a sincere friendship with Jon that will be enduring." "Jon’s enthusiasm and expertise drives the PBCA with dedication to excellence and a culture of giving back. He is consistently searching to do things better and make the members of this association more effective in their business. Jon is a joy to work with and a wonderful person to know."